Grant Van Niekerk had never even sat on a horse before he entered the South African Jockey Academy aged just 16 in 2007. Early weeks in that famous school represented a steep learning curve, but it didn't take long for the raw youngster to develop into a champion apprentice and a two-month course in how to handle the twists and turns of Happy Valley could finally pay dividends this Wednesday (7 November). Van Niekerk has made a solid start to his first Hong Kong season and lies in the top half of the table after following an opening day double with five more winners for trainers like table-topping Jimmy Ting and his nearest pursuer Tony Millard. 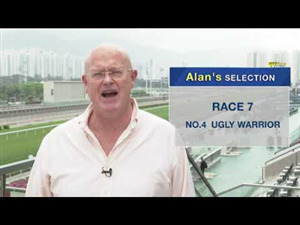 But that seven-winner haul has been compiled exclusively around the flat, forgiving spaces of Sha Tin. Number crunchers point to a Valley record of 0-42 to suggest Van Niekerk is finding the testing city venue tough to cope with, but Little Bird has the speed and the barrier draw to bring that frustrating sequence to an end in the American Club Challenge Cup (1200m) at 9.15. Ricky Yiu’s chestnut was very impressive when making all under Zac Purton at Sha Tin in June and looked back to his best on his Valley debut last month despite being worn down by the champion jockey aboard Country Star on his latest start. The fact that Little Bird was able to lead from stall 12 that day adds credit to the performance and Van Niekerk isn’t too concerned by the fact that he missed the break before landing a trial in runaway fashion last Friday. “He doesn’t want to stand too long in the gate but provided there is someone there holding him I think he will be fine,” he said. Purton partners another potential front runner in the speedy Handsome Bo Bo and, not for the first time, will be aiming to ensure Van Niekerk feels some outside pressure. However, Van Niekerk has no intention of missing the boat as he bids for that elusive first Valley win and he has another fair chance for Danny Shum on recent valley runner-up Dollar Reward in the Plover Cove Handicap (1200m) at 7.45. “Dollar Reward doesn’t want to be bustled early but he has a nice turn of foot and I hope I can ride him the same but perhaps just a length or two closer to the pace this time,” he added. 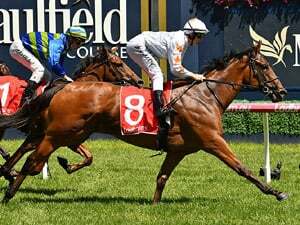 If you want to go out with a bang you might as well send your best horse into battle and Michael Freedman aims to bid a winning farewell to Happy Valley when Fortune Booth carries joint topweight (132lb) in the closing High Island Handicap (1200m) at 10.50. Freedman's 15-month spell in Hong Kong ends at Sha Tin this Saturday as he returns to Australia due to personal reasons. However, Fortune Booth's two wins and three near misses have earned him a rating of 94 and Zac Purton has elected to partner him ahead of recent winners like Saul's Special and Jade Theatre. Purton was absent from Sha Tin's barrier trials this morning (Tuesday) due to Melbourne Cup duty but Freedman is hopeful of a good effort despite a wide draw. Meanwhile, Douglas Whyte is hoping that Freedman’s Bellagio can improve for a step up to 1650m on his Valley debut in the Shek Pik Handicap at 8.15. 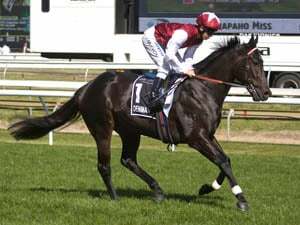 “Bellagio has been a bit unlucky but he’s also his own worst enemy as he doesn’t have the speed to get a prominent position over 1200m and 1400m,” he said. Karis Teetan will be active in all eight races this Wednesday and is looking forward to another bold effort from hat-trick seeking Blitzing in the Tai Tam Handicap (1200m) at 10.15. 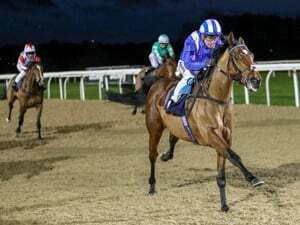 Tony Cruz’s gelding has looked highly progressive in two Class 4 wins at the city venue and has been hit with a 10lb rise for an impressive all-the-way success on his latest start two weeks ago. “This horse was always going to climb the ladder and when you win like he did you expect a big rise,” he said. That rise takes the four-year-old into Class 3 for the first time in a field containing live dangers like Perfect Glory, who caught the eye flashing home for a close second under Chad Schofield in the race after Blitzing’s latest success. Teetan nominates Caspar Fownes’ gelding as a big danger but Blitzing clocked a faster overall time than Perfect Glory and should get every chance to repeat the dose from stall 5. An eight-race card gets under way with the Kam Shan Handicap (1000m) at 7.15.